Whether you are an Pro athlete, in rehab for an injury, or a weekend warrior, Active Isolated Stretching (AIS) will enhance all aspects of movement no matter what activity you do. AIS techniques can change your life! 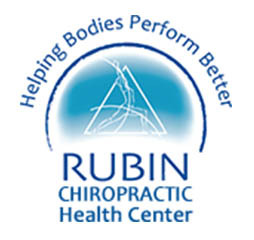 Even a two day course here at The Rubin Health Center can change your life. We’ve had patients with rotator cuff injuries, change the structure and function of their shoulder and we’re able to return to sports they loved. Dr. Rubin has extensive experience with patients, athletes, and clients who have returned to normal life’s and the sports they love. There are three main principles of AIS that will help you understand this method of flexibility. First, active isolated stretching uses your body’s own laws to facilitate the results were speaking of. The stretches are held for only 1.5-2 seconds, and are completed in repetitions. The reason for this is that when a stretch is held for longer than two seconds, a protective mechanism called “myotatic stretch reflex” is triggered. This reflex happens in your body under many normal circumstances. However in elite performance, injury rehabilitation or the desire to instill lasting changes in the body, this reflex is undesirable. This is true because when the myotatic stretch reflex is initiated (by holding stretches for more than approx. 2.5-3 seconds), the muscle being stretched will begin to contract, creating what is known as an eccentric contraction – something we do not want to happen. Allowing the myotatic stretch reflex to occur while stretching causes oxygen to be depleted from the tissue being stretched. Reduction of oxygen is the opposite of what you want to happen in a rehabilitation or performance situation. Secondly, the stretches performed in this technique are “active”– meaning the person being stretched actually helps move their own body part with their own muscles, before any assistance with a rope (if done alone) or a therapist (if treated by therapist) is initiated. This active movement causes “reciprocal inhibition” (Sherrington’s law). Simply put, when a muscle contracts, another muscle called the “antagonist” (the opposite) muscle is shut off. The perfect environment to stretch a muscle is when it is relaxed. Active Isolated Stretching achieves this concept with every stretch. This is about optimizing the oxygen content of the muscle and surrounding fascia (connective tissue). You should always be exhaling during the “work phase” of the stretch, or while the myofascia is being stretched. Breathing in this manner will allow the maximum amount of oxygen to be delivered to the region being treated. This is the optimal result desired, whether it is for athletic performance, rehabilitation, or just preparing yourself for your day. There are several other benefits that occur by using AIS. Because your brain and nervous system are engaged in every movement, there is neuromuscular re-education occurring as the repetitions are done. Every time a new range of motion is achieved, new neural pathways are produced. There are many reasons to become flexible. Your daily activities will be enhanced by having a more supple, movable body. Personally, I find it to be the most critical aspect of well-being. If you cannot move well, all activities, fitness endeavors, strength training, and general health can be compromised. Call us at (727) 822-1555 and let us show you more about AIS You’ll be glad you did!